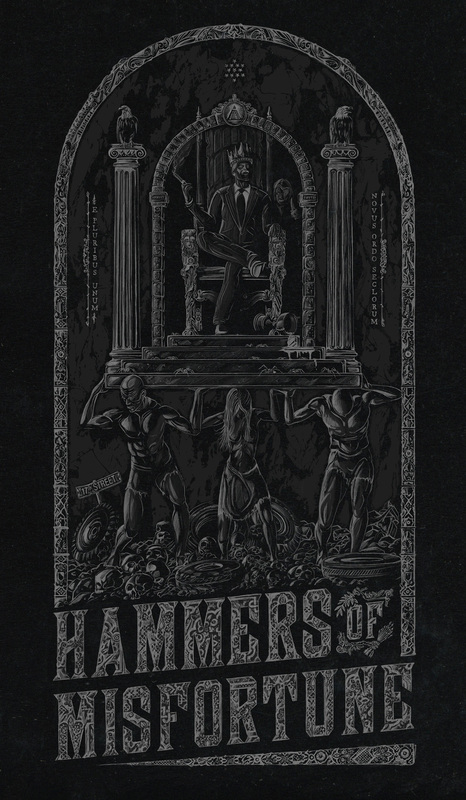 Shirt design for the mighty Hammers of Misfortune! They sold this on their 17th Street tour. It was an honor to be able to work closely with John Cobbett himself to illustrate this for them!